Where norton phishing filter in 64-bit edition of IE 8?? it work great in 32 bit ie in my vista x64..is there is no support for 64 bit..well i use IE 8 and firefox both..but just curious to know it! Re: Where is Norton Phishing Filter in IE 8 (64-bit) ?? 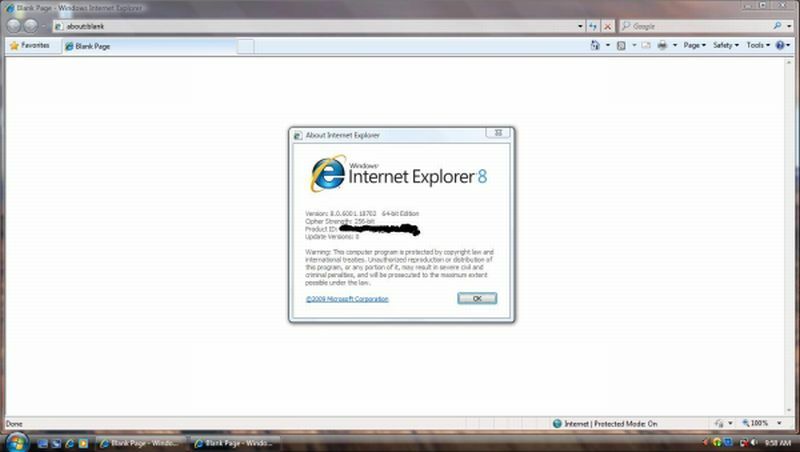 The Norton Anti-phishing is not supported in 64-bit versions of Internet Explorer (both IE7 and IE8). You can use the 32-bit versions of Internet explorer in 64-bit operating systems (Vista x64) to make use of Norton Anti-phishing, Identity Safe and Norton Safe Web features. P.S: To open 32-bit version of IE, please open it from Program Files(x86)\Internet Explorer folder. I don't know about IE8, since I don't have it yet. However, there are no new anti-phishing updates in Vista 64 bit OS systems. The phishing filter works(except in IE 64 bit, but the definitions are out of date. Symantic has known about the problem for almost 2 weeks & is working on a fix. Is there an resolution ETA for this 64 bit issue? You've been around long enough to know that it is pointless to ask that question. If Symantec knew the answer it would be because it is about to be released after testing; if that is not complete then they don't know and I'd rather they would not guess. The best defence against phishing is between the left ear and the right ear plus using the Status Bar on your browser. This is actually the design of the software. The current version does not support 64-bit Internet Explorer. If we add this feature, it will be in a future version of Norton Internet Security. Simply put, it can't hurt to ask - I like being proactive rather than reactive - even if the answer is nebulous in nature. I and many other Forum Contributors are *not* employed by Symantec. We basically volunteer our time and technical expertise to what we think is an excellent product. "And I prefer to let them get on with their job ....."
I totally agree, let them get on with their job developing 64-bit IE browser support!